we paid for your PROECTION! my coputer since I became pc matic customer, my computer,has not work propertly.I need to know why does seem that my computer is not working with protection?What did I paid for,it look likeI’not getting protection on my computer??? ?what up! It seem like I’m having more trouble,now with my computer! It not running,the way it should? Already have had problem with schedlud scans not happening since jan. Thank and is there anything you can advise? Hi Donna, Please report these issues to our support technicians at http://www.pcmatic.com/help. They will be able to help diagnose the problems, and are available seven days a week. Thank you! PCMatic support is the pits. Has anyone been able to SPEAK with customer support? Is there such a thing? If so how does one speak with tech support? I just tried to sign up but the link to PayPay reports an error. Tech support is available to valid users which I am not yet. If you’re having issues with the PayPal option, you can still reach out to our support team at http://www.pcmatic.com/help — choose “technical support” then “order support” (bottom option). If it is our error, we will do everything we can to get it resolved. Otherwise, have you contacted PayPal? I have opened a ticket. PayPal is open when I do this and still no working link is created. I’ve had PC Matic for a while now, and I really love the program. HOWEVER. About t month ago, my Super Shield just decided it didn’t want to run anymore. I’ve tried to right-click the icon, but nothing seems to work. Why did this happen, and how can I fix it, short of having to delete and re-install the program again? BTW, the only thing I dislike about PC Matic is not being able to actually TALK to someone. The forums never seem to have whatever question I have, and I’m not tech-savy enough to be able to explain to a forum exactly what the problem is. Hey Jim, I’m sorry that you’re having an issue with Super Shield. Have you reach out to our support team at http://www.pcmatic.com/help for assistance? They are available 7 days a week and will be able to talk to you through email to solve any problems. “to talk to you through email “? Who does that when you need a problem solved immediately? When there is an urgent issue that needs an immediate response from tech support to solve a recurring issue how does “talking by email” help? I purchased pcmatic evergreen several years ago (6 +years), but have had problems with my updates and virus scan schedule getting “lost” repeatedly ,I also keep loosing my icon and program on my pc, it just shuts down completely, then I have to search for it and restart it on a regular basis. I keep setting up my schedule updates and scan time, just to be told I am not setup. I have had to re-enter my info on a regular (daily) basis for years now! Once I go to scan or update I find my icon is gone which makes it almost impossible to find your program to update or re-enter my data. I paid a small fortune for the evergreen option, but have a program that rarely works. I also want to add my iPhone sg8 as one of my 5 pc choices for coverage, but can not figure out how. And when I try to contact pcmatic my emails are never answered. I have also tried to call a tech, (a virus issue that slipped by you and messed up my computer), i was told a tech would get back with me, but was never contacted back. I think pcmatic has gotten to big and has forgotten the orginal users who supported them in the beginning. The evergreen option was not cheap, $500 for a lifetime membership, but I put my faith in them when they were just starting out, and I now feel they have let me down. I feel forgotten by this company, who gives me NO tech support or help when I need them. It feels like they took my money and ran. I just want my viral service to work, update, NOT disappear from my computer on a regular basis, continue updating to their new options, as I was promised when I paid them my $500 for the evergreen option. And make my iPhone sg8 one of the 5 coverage options under their new phone coverage option they have added to pcmatic. $500 may not seem a lot to a now HUGE company, but it’s a fortune to me. I feel like pcmatic ripped me off here. Please provide me the service I paid for, or pay me back the $500 I invested in your services and company years ago, or maybe loyalty doesn’t matter to pc matic anymore. At least get back with me please. Hi Billie — PC Matic is not compatible with iPhones. This is something we are working on, and hope to expand our capabilities very soon. However, at this time, PC Matic is only compatible with Windows and Android operating systems. I am not seeing any helpdesk tickets associated to your account. I will create a ticket for you now, explaining the issues you noted above. Also, I would like to clarify, our Evergreen subscription is only $150. If you were over-billed, please let us know. Our records do not show that, but if you can provide a statement with a $500 charge from us, we would be more than happy to refund the appropriate amount. Thank you Billie! I do not have a statement on that amount anymore, it’s been to many years ago, so I guess that issue is now mote. Thank you for getting back with me, you have renewed my faith in you. I await your reply about that ticket for help. When running pc matic the updates shows no bar moving before it jumps to threats scanning…..giving me the feeling that the updates may be being by passed instead of downloading updates……do I get any if the bar never moves left to right? Hello Charles, sometimes the bar may jump quickly from start to finish and go on to the next section but don’t worry it is in fact downloading updates. I focus my eyes on the empty box and not even a flash of the green bar happens…..How often do actual updates occur?…..Maybe no update is necessary…..or am I being blocked by hackers? I have never seen the updates bar move……this isn’t a sometimes occurrence…it is all the time…. Thanks for getting back to me with your helpful replies……. Don’t worry, that bar isn’t correlating to actual updates being downloaded. The downloads are still happening. 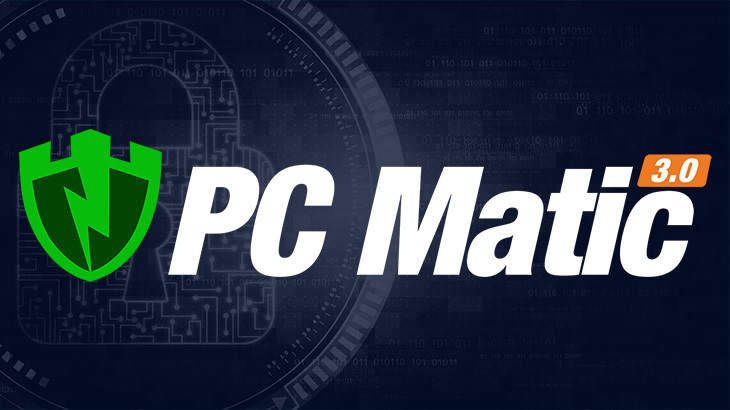 If you’d like our team to verify it for you, contact our support team at pcmatic.com/help and ask how to check if you’re getting the latest updates across the program. Have a great day! Can I put PC Matic on my IPad ? How? No, PC Matic is not compatible with iOS devices. Can I put PC Matic on an iPad ? Hello David! Please reach out to our support team at http://www.pcmatic.com/help for assistance. They are available 7 days a week. What is going on with your company? I would like to purchase PC Matic for one computer, but you have not answered by e-mails. Are you to big to answer an e-mail from someone who wants to purchase your program for one computer? You can purchase PC Matic at http://www.pcmatic.com. That license key will be valid for 1-5 PCs, which you can load on different PCs throughout your home — or share with family and/or friends who do not reside with you. I am uncertain which email address you are using, but to connect with our support team, you can email them directly at pcmatic@pcpitstop.com. I hope this helped to answer your question, and I apologized for the delayed response. PC Matic Support Team are very informative and will make sure your needs are satisfied. Been with PC Matic over a year and have found this program to be far better than previous protection programs. I sent an email and have not heard a response. I am still getting alot of malware. what can be done to remedy this problem? Have you contacted our support team at http://www.pcmatic.com/help? Our trained technical professionals are available 7 days a week. I would like to know if your programs will work on the Mac computers/ I had it when I has Microsoft and was well pleased with the program. You signed me up again for the prog. in ///////sept, but I didn’t see it. if it is compatible with Mac’s Let me know how to down load it please since I have been charged for it again. thanks!! I have been using PC MATIC since about June and I am very satisfied with the program. Have tried most of the Big names security programs and was NOT satisfied at all. Been computing at home since 1 / 2003 and have used many types and brands of security software by free, free for 30 days etc., and purchase. Follow the advice on how to use exactly and you should have no problems. You may have to WIPE your Hard Drive clean and re-inslall. I think I'm ready for a refund from PC Matic. My computor has slowed down and has been running erratically since I downloaded it. Not happy with it at all. Do you recommend that I download Win 10. They have said I could download for free. I don’t know what to do.Anything for free kind of scares me What advice do you have for me. Mercy, really like this PC Matic and the Super Shield. Only thing is I wish I could find out how to control when Super Shield updates .It updates in the morning around 8 and sometimes in the eavning too around 5 or 6. I would like to have do this around midnight. When it is updateing can't hardly use my cp. Do you service tablets ? Thanks Merle, for saving me the money.